About Us - Specializing in Walleye Fishing on the Bay of Quinte! 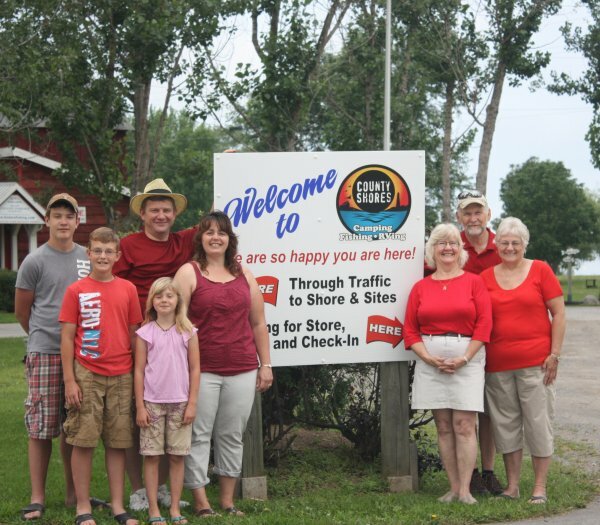 Located on the South Shore of the Bay of Quinte in beautiful Prince Edward County, County Shores is a Camper's, Angler's and RVer's paradise offering a quiet and memorable vacation for all. County Shores is a family operated business owned by Todd and Krista Foster on a Century Farm that has been in the Foster Family for over 10 generations. 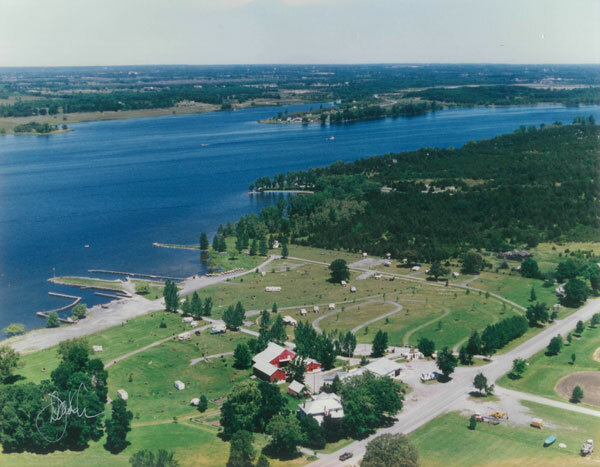 County Shores is a 22 acre camping resort with over 1300ft of shoreline providing fantastic views of the Bay of Quinte and its legendary sunsets. For the Camper, we offer large open and shaded grass sites all with great views of the shoreline and water plus the convenience of being a short drive to all Prince Edward County attractions and the world famous Sandbanks Provincial Park. For the Angler, come and fish the world famous Bay of Quinte and Telegraph Narrows for record size Walleye (Pickerel), Pike and Bass all from within the sight of our harbor and docks. For the RVer, we offer large open and level sites for easy RV access, along with pull-thru’s and new 30 amp electricity, all less than 15 kilometers over good paved public roads from Highway 401. 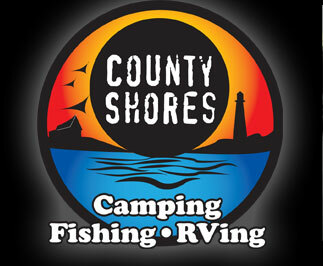 County Shores offers it all from a beautiful location to fantastic fishing to easy access. Come join us and make a memory that will last a lifetime! The staff at County Shores are here to make your stay as enjoyable as possible. Customer service is our number one priority and our staff are always here to help. We are a family owned and operated business and our goal while you are here is to make you feel like a part of the family. After continued health problems, park founder Glen Foster, retired in the spring of 2011. We wish Glen all the best in his retirement and hope he will have more time to relax in Florida which he dearly loves to do. Todd Foster (Glen’s son) made a career change and left a partnership with a commercial construction firm to take over the campground from his dad. Todd, along with his wife Krista, now manage and operate the park with their children: Andrew, Connor and Bethany. Todd’s mother Barb still helps out in the business and you will often see her behind the office counter. Of course, the park could not operate without our dedicated team of: Gerald, Derrick and Evelyn to keep the place groomed and maintained to perfection!